In the case of Tenbus v. Progressive Direct Ins. Co., No. 548-CV-2016 (C.P. Wayne Co. Nov. 22, 2017 Hamill, J. ), Judge Raymond L. Hamill entered a Judgment on the Pleadings in favor of a UIM carrier after finding that the Plaintiff failed to state a valid UIM claim under Pennsylvania's Motor Vehicle Financial Responsibility Law and the policy definition of an "underinsured motor vehicle" where the Plaintiff was awarded the full liability limits of the tortfeasor in a related binding arbitration of the third party claims. In dicta, the court also noted that the Plaintiff's UIM claim was barred by the collateral estoppel doctrine as well. I send thanks to Attorney David Friedman of the King of Prussia office of the Forry Ullman law firm for bringing this case to my attention. The Pennsylvania Supreme Court noted that this was an issue of first impression. I send thanks to Attorney Scott Cooper for bringing this case to my attention. In the case of Meyers v. Protective Ins. Co., No. 3:16-cv-01821 (M.D. Pa. Oct. 10, 2017 Caputo, J. ), the court denied a second Motion to Dismiss filed against a bad faith claim alleging issues with the investigation and claim evaluation by the Defendant carrier. It is noted that this UIM bad faith was previously dismissed for failure to state a plausible claim. After the Plaintiff was given leave to amend the Complaint, the carrier again filed a Motion to Dismiss in this uninsured motorist claim matter. As noted, the court denied the second Motion to Dismiss. The court found that the Amended Complaint set forth factual support to allegations that the carrier refused to promptly communicate with Plaintiff, repeatedly misrepresented matters to the Plaintiff, and allegedly failed to comply with various insurance regulations. In the Blair County Court of Common Pleas case of Swan v. Moorefield, No. 2014 GN 2606 (C.P. Blair Co. Sept. 9, 2017 Kagarise, J. ), the court denied a UIM carrier’s Motion to Sever and Stay Bad Faith Claims in a post-Koken matter. According to the Opinion, the Motion to Sever was filed pursuant to Pa. R.C.P. 213(b). The court noted that the determination of whether to sever cases was within the discretion of the trial court and that the court should make this determination based upon the particular facts and circumstances of the case before it. In his Opinion, Judge Wade pointed to a prior Blair County decision in favor of the severance of a UIM claim from the bad faith claim in the case of Raia v. Agency Ins. Co. of Maryland (C.P. Blair Co. March 2, 2017 Doyle, P.J.). However, Judge Wade noted that there were several differences between the case before him and the facts in the Raia case. The court also noted that it was sensitive to the fact that severing could further drag out the resolution of the bad faith claims in this already three (3) year old case. The court was also influenced to deny the request for severance under the Plaintiff’s argument that a severance of the case would necessitate a second jury trial on the common law (as opposed to the statutory) bad faith claims raised by the Plaintiff. While the court denied the request for severance of the claim during the course of discovery, the court in Swan otherwise noted that it would consider a Motion for Bifurcation at a later time in the proceedings. In this regard, the Swan court pointed to the decision by the Westmoreland County Court of Common Pleas in the case of Madeja v. State Farm Mut. Auto. Ins. Co. (C.P. Westmoreland Co. April 11, 2017) in which the court did not sever the causes of action but did bifurcate the trial proceedings. The Swan court found that there was “significant merit to the approached taken in the Madeja case and felt that the Madeja court’s reasoning was appropriate in the instant matter. However, as the issue of bifurcation was not currently before the Swan court, the court did not rule on that particular issue. As stated, the court in Swan ultimately denied the Defendant’s Motion to Sever and Stay the extra contractual claims. 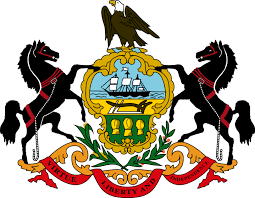 Accordingly, there is a split of authority on this issue within Blair County which mirrors the split of authority on this issue across the state courts in the Commonwealth of Pennsylvania. In the non-precedential decision by the Pennsylvania Superior Court in the case of DeCrosta v. Erie Insurance Group, No. 2982 E.D.A. 2016 (Pa. Super. Oct. 18, 2017) (Bender, P.J.E., Dubow and Musmanno, J.J.) (Mem. Op. by Musmanno, J. ), the court reviewed a dispute between an insured and its carrier over whether the insured was entitled to stacked UIM coverage under the case presented. The dispute between the parties revolved around the validity of a 2004 Waiver of Stacking Underinsured Motorist Coverage Limits form, and the continued application of that waiver through the removal of a motor vehicle from that policy and the addition of a separate vehicle in its place. The appellate court affirmed the trial court’s entry of summary judgment against the insured. In so ruling, the appellate court rejected the insured’s arguments with respect to the waiver form allegedly being hand-dated by an anonymous person and given that there was no evidence produced concerning the validity of the allegedly anonymous dating of the document. The Superior Court noted that, in order to be valid under 75 Pa.C.S.A. Subsection 1738(d) of the MVFRL, a UM/UIM Stacked Insurance Waiver form must be signed, but not necessarily dated, by the insured. In this case, there is no dispute that the insured had signed the waiver form. Accordingly, the appellate court found that the trial court did not err in ruling that the 2004 waiver form was valid and that its validity did not hinge upon who dated the document. As to the second issue raised by the Plaintiff, the court rejected the Plaintiff’s arguments with regard to whether a vehicle added to the policy constituted a “replacement vehicle, i.e., the insureds have merely replaced covered vehicle with another, and whether the carrier was required to present to the insured the opportunity to execute a new UM/UIM Waiver form. The appellate court affirmed the trial court’s Opinion that the vehicle added to the policy was a replacement vehicle under the definition provided by the policy. As a replacement vehicle, the carrier was not required to have a new stacking waiver executed. Accordingly, the appellate court agreed with the trial court’s finding that the 2004 waiver form remained applicable and that, therefore, the insured had waived stacked coverage. I send thanks to Attorney Domenic S. Sbrocchi of the King Spry law firm in Bethlehem, PA for bringing this case to my attention. The below article of mine providing tips on handling mediations was published in the October 17, 2017 edition of The Legal Intelligencer and is republished here with permission. 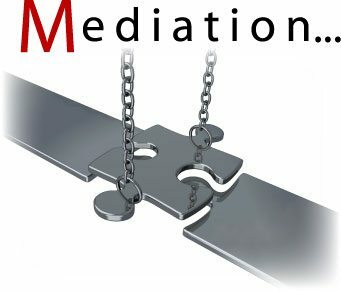 Should you need any assistance in mediating cases through the end of the year or beyond, I would be happy to help through my venture at Cummins Mediation Services. Please contact me at dancummins@comcast.net for my resume, fee schedule or to arrange for a Mediation. Thank you. 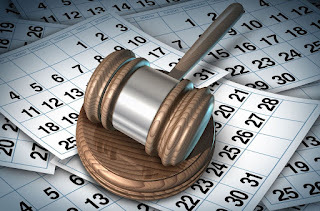 With the uncertainty of what a jury will do in a particular case and the significant costs associated with trying a case to verdict, alternative dispute resolution proceedings in the form of mediations and arbitrations have been a rising trend across the commonwealth of Pennsylvania. The following practice tips for nonbinding mediations may assist litigants in bringing their cases to a desired resolution. All too often, parties may arrive at a nonbinding mediation without having provided the opposing party with all of the information necessary to allow for a successful mediation. On the plaintiff's side, there are times where a plaintiff has not yet finalized the information pertinent to the economic damages claims, such as wage loss claims or medical expenses claims. At times, the parties are still waiting for the completion of the lengthy process associated with securing health care, Medicaid or Medicare liens. It is advisable to postpone any mediation proceedings until this information has been secured and documented so as to allow the defense to complete its evaluation and arrive at the mediation with additional settlement authority. The production of such information also provides the plaintiff with ammunition to argue for a higher settlement of the claims presented. On the defense side, it may be advisable not to proceed to an arbitration until all written discovery, depositions and expert review of the claims presented has been completed. Plaintiffs allowing a case to proceed to mediation before such items have been accomplished may be faced with a defense asserting that there is no additional settlement authority to be discussed at the conference but that the case may be revisited after the completion of additional discovery efforts, such as an independent medical examination of the plaintiff. Plaintiffs can take away this argument by not agreeing to proceed to mediation until such discovery tasks are completed. When proceeding to a mediation, it is important to provide the mediator with a concise, but thorough, overview of the claims and defenses presented. A concise chronology of the facts of the underlying matter will inform the mediator as to the legal issues presented and provide an initial sense as to the value of the claims asserted. Written submissions need not contain a recitation of every medical visit or diagnostic study completed. Rather, the highlights of the plaintiff's treatment following the accident will suffice. On the defense side, a mediation memorandum can be utilized to raise and provide support for defenses on the liability issues, the causation question and the alleged extent of the injuries and damages presented. A defense mediation memorandum can also be utilized to emphasize the plaintiff's prior medical history so as to confirm that the case presented involves an aggravation of a pre-existing condition claim. There is also no need to provide a mediator with voluminous written materials to review. Rather, litigators should emphasize the highlights of the case through documentary evidence. Rather than providing the mediator with complete medical records, it may be advisable to only submit the notes of the important office visits and notable reports of diagnostic films and studies. Also, rather than submitting entire transcripts of depositions, the better practice may be to submit the cover page of the deposition transcript along with the pertinent pages that may have been cited in the mediation memorandum. In addition to not overburdening the ­mediator with unnecessary information, presenting more concise documentation will also serve to keep the cost of the mediation down as the mediator will have less to review in preparation for the proceedings. Oftentimes, the parties will submit their mediation memorandum and supporting exhibits to the arbitrator confidentially. The better practice is to disclose your materials to the opposing party in order that the opposing party may share the same with their client in order to let their client know of the weaknesses of the case presented and the strengths of the opponent's case. Most plaintiffs and some claims representative are not familiar with how the mediation process works. The better practice is to fully inform your client that, at a mediation, the mediator will likely have all of the parties in the room for an initial conference at which updates on the case presented can be provided. At the initial conference, both parties may also be invited to provide their overview of the case presented in order to let the opposing party know how the case is viewed by the opponent. A plaintiff should be advised that he or she may be requested by the mediator at this initial conference to provide an update as to the client's condition and treatment. In this regard, a plaintiff who admits to improvement in his or her condition with the treatment provided to date adds to the credibility of that litigant. An injured party who contends that there has been no improvement whatsoever in his or her condition despite years of treatment may have their overall credibility called into question by the opponent. If a plaintiff is reluctant to admit improvement, the plaintiff can add the proviso of that, while he or she may have improved somewhat over time, the injuries have not resolved and continue to limit the plaintiff in his or her everyday activities of daily living. The client should be advised that, once the initial conference is completed, the mediator will likely put each party in a separate room and commence the negotiations by traveling back and forth between the rooms in a continuing effort to bring the parties closer together towards an amicable resolution of the claims presented. The parties should also be made aware that there may be a reiteration of the same points over and over with different emphasis on different points at different times during the course of the mediation. This is all a part of the process of helping each side of the litigation to fully understand and appreciate the pros and cons of the claims and defenses presented. The client and the claims representative should also be advised that the mediator has been selected to preside over this mediation because that person has experience in evaluating the claims presented in the jurisdiction in which the case is pending. It should be noted to the parties that a mediator typically does not provide the parties with his concrete evaluation of the case presented as the job of the mediator is not to evaluate the case. Rather, the mediator's function is to facilitate negotiations between the parties towards a settlement figure that each party may not be entirely happy with but are satisfied enough to agree to conclude the matter. When engaging in a mediation, parties may get so wrapped up in their own position that they may fail to listen to the information being provided by the mediator after the mediator has met with the opposing side. Listening to what the mediator is reporting from his last conference with the opposing party may send signals as to where the opposing party may be willing to proceed in its next step. Listening to such information may also assist the party hearing the information in formulating their next step in the negotiation process. At various times during a mediation, a party may disclose information to the mediator that the party does not wish to be disclosed to the opposing counsel. When disclosing information to the mediator that a party does not wish to be revealed to the other side, that party should be clear in its statement to the mediator that such information should be kept confidential. Mediators will keep this information confidential to keep your trust. The provision of such confidential information may assist the mediator in understanding certain aspects of the case and why a party may be taking a particular position on a particular issue. The disclosure of such information to the mediator confidentially may, in the end, assist the mediator in massaging the other side closer toward a settlement figure. Obviously, the success of any mediation depends upon the willingness of each party to negotiate reasonably. In addition to emphasizing the strong points of one's case, the credibility of the parties will be enhanced by that party's concession with respect to the weak points of their case presented. An admission of the weak points of a case, with an associated explanation as to how that party plans to deal with those weak points at a potential trial, will provide the mediator with information to take to the other side in the continuing negotiations on the case presented. Daniel E. Cummins is a partner and civil litigator with the Scranton law firm of Foley Comerford & Cummins. 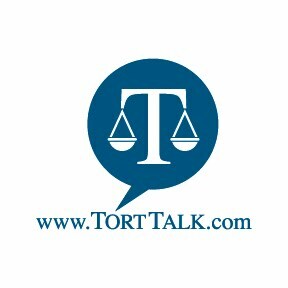 His civil litigation blog, Tort Talk, can be viewed at www.TortTalk.com. Attorney Cummins also provides Mediation services through Cummins Mediation Services. Many articles have been written on the health dangers of sitting all day. Some say that sitting is the new smoking. Standing up whenever you get on the phone will break up your sitting all day at the office and may benefit your health in the long run. And while your on the phone try smiling when speaking. Your good cheer will travel through to the person on the other end and benefit the both of you. LOOKING TO TRY TO RESOLVE CASES BEFORE THE END OF THE YEAR? Are you looking to try to resolve cases before the end of the year? 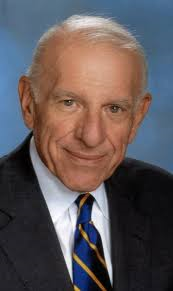 In addition to my own personal experience of sitting through innumerable settlement conferences as a law clerk for Judge Harold A. Thomson, Jr. of Pike County at the beginning of my career, I have also participated in successful Mediations over the past 17 years as both a litigator and as a Mediator in the Federal Middle District Court Mediation Program. I have additionally attended many continuing legal education courses in an effort to further hone my skills and tools related to fostering ongoing negotiations at Mediations.